Once in a great while, we are privileged to experience a cultural event so extraordinary, it becomes part of our shared heritage. 1969: Man walks on the moon. 1971: Man walks on the moon again. Then, for a long time, nothing happened. 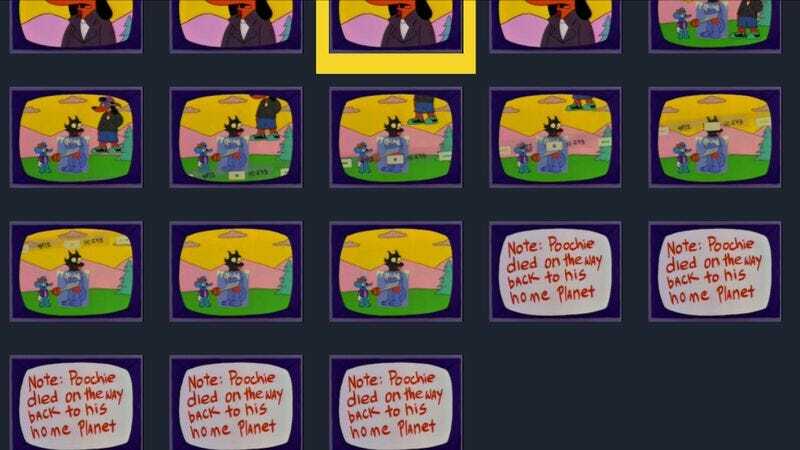 Until now, as Frinkiac, the search engine that matches Simpsons quotes with screencaps, introduces an animated GIF feature.